Torino maintained their 100% home record with a narrow victory over Palermo on Sunday afternoon, despite finishing the match with only nine men. As expected, Maxi Lopez replaced Josef Martinez upfront, whilst Davide Zappacosta and Marco Benassi also came into the starting eleven. Some neat footwork by Daniele Baselli in midfield put Fabio Quagliarella through on goal, but his shot was easily saved by former Toro keeper Stefano Sorrentino. The away side were inches away from taking the lead through Aleksandar Trajkovski's thirty yard free kick which rattled off the crossbar. Toro took the lead on the stroke of half time when Cristian Molinaro's low cross was deflected into his own net by Giancarlo Gonzalez under pressure from Lopez. The Granata doubled their lead moments into the second half in sensational fashion when Maxi Lopez found Marco Benassi who scored a sensational Marco Van Basten-esque volley from a difficult angle. The home side then found themselves reduced to ten men when Cristiano Molinaro received a second yellow card when he was penalised for pulling back Trajkovski. And Palermo ensured a nervy last twenty minutes when Giancarlo Gonzalez headed into the right net this time, as he converted Franco Vasquez's cross. Torino were then reduced to nine men in injury time when substitute Joel Obi was given his marching orders for a rash foul on Vasquez. Toro were almost made to pay for that indiscipline in the dying seconds, but Aljaz Struna's hit the woodwork and Toro held on. This was a great victory for Toro as they had to overcome adversity in order to claim the three points, and a win over Carpi would, temporarily at least, put the Granata top of Serie A.
Torino will have a chance to bounce back from Wednesday's disappointing to defeat against Chievo when they face Palermo on Sunday afternoon. The Granata will be without Bruno Peres who has picked up a thigh injury so will be replaced by Davide Zappacosta at right wing back. Elsewhere, Marco Benassi and former Palermo man Andrea Belotti, who both came on against Chievo, could also come into the team. Palermo won their first two games of the season but have not won any of their next three, their most recent game being a 1-0 home defeat by Sassuolo. 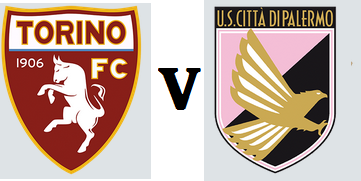 Torino can go to the top of Serie A tonight if they beat Chievo and record their fourth victory of the season so far. In order for this to happen, Toro would need a favour from Chievo's city rivals Hellas who face league leaders Inter tonight. The Granata have no injury worries themselves, but there are rumours that Giampiero Ventura will make changes to the team - with Davide Zappacosta, Joel Obi and Josef Martinez all having a chance to come into the side. Chievo made a promising start to the season by gaining 7 points from their first three games, but they narrowly lost to Inter last time out. Former Granata men Valter Birsa and Riccardo Meggiorini are key players for the home side, and should both start tonight. Torino's fine start to the season continued with an impressive 2-0 victory against Sampdoria on Sunday afternoon. Emiliano Moretti returned to the Toro starting eleven whilst Afriyie Acquah made his first start in midfield. Toro made a bright start and were ahead after only eighteen minutes when Bruno Peres' cross was met by a bullet header from former Samp striker Fabio Quagliarella. The Granata doubled that lead six minutes later when the away side failed to deal with a corner and Andrea Belotti's cross was tapped home by Quagliarella for his second of the game. Despite their slow start, Sampdoria looked threatening going forward and Eder had a great chance to reduce the arrears when he rounded Daniele Padelli, but the Italian international could not beat either Kamil Glik or Emiliano Moretti on the line. Padelli made a great save to deny Eder once again, whilst Toro continued to create chances on the counter attack with substitute Maxi Lopez hitting the side netting. This was a good victory for the Granata whose bright start was key to beating a decent Sampdoria side, and moved them up to 2nd in the Serie A table for a couple of days at least. Torino maintained their unbeaten start to the season as they twice came from behind to earn a deserved point against Hellas Verona on Sunday afternoon. The Granata were hampered with a number of injury problems, as Nikola Maksimovic, Emiliano Moretti, Alessandro Gazzi and Marco Benassi all missed out. However, Andrea Belotti made his debut and joined Fabio Quagliarella in attack. Toro were slow to start once again, and they were thankful for Daniele Padelli, who made a splendid one handed save to deny Luca Toni. The second half was only four minutes old when the home side were awarded a controversial penalty when Pontus Jansson was adjudged to have tripped Juanito, despite replays showing the Brazilian had just missed his kick and fell over. 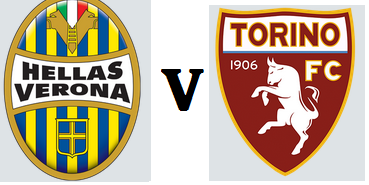 Luca Toni stepped up to take the penalty and made no mistake, as Toro went behind for the fourth game in succession. However, Toro were level fifteen minutes later when home keeper Rafael could only parry Fabio Quagliarella's angled drive, and Daniele Baselli was able to tap home for his fourth goal in as many games. Toro had looked vulnerable from set pieces all game and were punished when Hellas took the lead for a second time after Federico Viviani's floated free kick was headed home by Juanito. However, the lead lasted for less than sixty seconds, as Rafael needlessly punched a Cristian Molinaro cross and the ball fell for substitute Afriyie Acquah who side footed the ball into the empty net. Toro were unable to find a winning goal in the closing stages, and a point each was probably a fair result and it allowed the Granata to continue their unbeaten start to the season. Torino maintained their 100% record as for the third time this season they came from behind to win, with an impressive 3-1 victory against Fiorentina. Toro only made two changes from the team who beat Frosinone as Giuseppe Vives and Josef Martinez came in for Alessandro Gazzi and Maxi Lopez. The Granata made a slow start and were behind early on once again, as Nikola Kalinic's header was initially saved by Daniele Padelli but the rebound found former Bolton defender Marcos Alonso who tapped in. Alonso then risked the wrath of the Curva Maratona by imitating a bull fighter in his celebration, a gesture which was deemed to be provocative by the referee and the Spaniard received a yellow card for his troubles. To Alonso's credit, he immediately issued an apology and stated that he never intended to offend the Toro supporters. The home side were outclassed by the visitors in the first half and chances were limited, although Ciprian Tatarusanu did tip a Fabio Quagliarella header over the bar. With twenty minutes remaining the Granata finally scored their equaliser as Emiliano Moretti pounced in the area following a corner and found the net with an excellent left footed volley. And incredibly, a minute later, Toro were in the lead as Bruno Peres found Fabio Quagliarella who calmly slid the ball past Tatarusanu from a tight angle. The result was put beyond any doubt with thirteen minutes remaining when Daniele Baselli skipped past Borja Valero and fired the ball into the top corner from fully thirty yards. This was an impressive result against a strong Fiorentina side, although Giampiero Ventura will be worried by Toro's defensive frailties which have seen them concede early on in each of their three fixtures this season.